September marks a big milestone for many learners. Whether you’re a teenager who has nervously just received GCSE results and are off to college or you’re a student of any age embarking on a new term at university – learning can be exciting. At cHRysos HR we love to harness the inquisitive and ambitious nature of our students and we are always proud of those who graduate from our accredited CIPD courses. 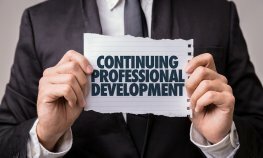 Our continuous ‘roll of hour’ list shows that there’s always an appetite for Continual Professional Development (CPD). CPD is the term used to describe the various learning activities professionals engage in to boost their skills and abilities. It basically aims to encourage a conscious and proactive approach to learning, rather than passive and reactive. CPD can have infinite benefits from helping you to keep pace with peers in your chosen field to ensuring your knowledge is relevant and that you are aware of changing trends. It can also help you stand out from the crowd when applying for a promotion or a new job. But it’s important to figure out how further learning can help you personally and in your career. Before you start to look forward it’s always good to reflect on what qualifications and skills you have already learned. It’s worth making a list to identify where there might be any gaps. It could include formal qualifications you gained at college and university as well as any on the job training you’ve had. This will help you reflect on how you can build on your skill set in future. CPD is important because it helps to provide structured, practical and attainable learning in the workplace and helps to guarantee that all employees have the same opportunities to learn. CPD is important to employers too because it helps to continuously raise standards and keeps employees motivated and enthusiastic. This in turn helps the companies stay competitive and attractive to new employees. In some organisations and industries, employers expect you to have a certain skill set and knowledge base, which may even need updating annually. For example, you may need to ensure your Information Governance, Health and Safety or Conflict Resolution training is all up to date. Failing to do this may lead to disciplinary action or the withholding of a pay rise. Finding the right type of course to fit your goals and career aspirations is crucial if you want CPD to help further your career. It’s not enough to simply find a course which matches your industry. It’s worth talking to your boss, mentor or even contacts you have in your current industry or the one you hope to work in to see what they studied to get where they are. Once you’ve figured out how you like to learn, it becomes easier to study and to therefore succeed. CPD courses can involve structured, reflective or self-directed learning. Structured CPD is interactive and participation-based and therefore good for team players who like to learn with others. Reflective learning involves no participant-based interaction, so this form of CPD is much more passive and one directional. Examples of this include reading relevant news articles, podcasts & case studies. And for those who like to learn alone, self-directed learning is a way for self-disciplined learners to study on their own and to set their own pace. Sometimes a lack of knowledge or confidence in a certain role at work can encourage people to look for new learning opportunities. Matching your development goals to work objectives can be daunting but really rewarding. If your employer can see your learning is having a direct impact on the business's objectives as well as you personally, they will no doubt support you. If you’re ambitious to take the next step at work then a mentor or career coach may be just what you’re looking for to help you achieve your goals. You need to be self-aware and honest about your skills and attributes and the goals you set with your mentor need to be realistic as well as challenging. A good coach or mentor will help inspire and advise you about what learning opportunities or courses are available to help you develop. If you work at a larger firm, you probably have a wealth of expertise and resources at your fingertips. It’s worth asking for advice from your HR department about what career development and job opportunities are already available to you. This could potentially include help towards the cost of tuition, internal courses, library resources, job shadowing opportunities or access to apprenticeships (which are now more commonly open to people of all ages). This will help you learn even if you have a limited budget. You could develop your professional qualities by joining a networking group where you can share ideas, expertise and contacts. For example, there’s a wealth of opportunities for business owners who join their regional Chamber of Commerce or Junior Chamber, the Federation of Small Businesses or Institute of Directors. Most local councils will have resources available for new start-ups. For example, Business Sheffield offers free networking, courses and training sessions. Julie Gordon is Managing Director of cHRysos HR Solutions, a Doncaster based HR training and consultancy company providing CIPD and CMI accredited qualifications and HR Consultancy Services, nationwide and overseas. Contact cHRysos HR on info@chrysos.org.uk or call +44 (0)1302 802128.